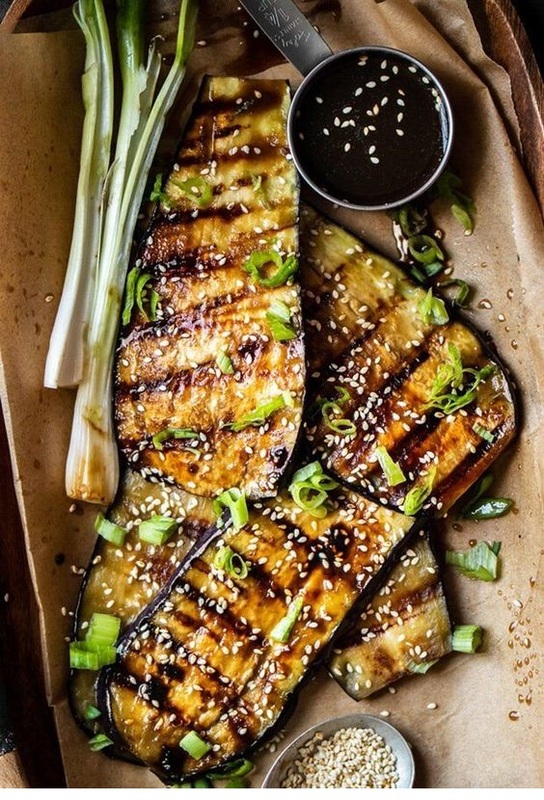 This makes a total of 5 servings of Vegan Teriyaki Grilled Eggplant. Each serving comes out to be 163.4 Calories, 12.07g Fat, 6.98g Net Carbs, and 3.72g Protein. Combine sesame oil, liquid aminos, garlic, ginger, and swerve into a sauce pan and whisk together over medium heat. Bring the sauce to a light simmer, stirring frequently until it begins to thicken slightly. Remove from heat. Remove the stems from the eggplants and slice into 1/8 in slices. You will get approximately five full slices from each eggplant for a total of ten slices.